Our favourite month of the year is here, and we are so excited, not just because it marks the end of an exhilarating year and ushers us into another new year, but it’s also exciting as it means we have loads of events to look forward to. There are several concerts set to hold this month that you just can’t afford to miss. We’ve picked out a few that will help you end your year with a bang, Enjoy! On the 7th of December, Maleek Berry is set to turn up and headline his first concert in Lagos at the Hard Rock Café, closing out his ‘Last Daze of Summer’ tour. From getting two nominations at the MOBO Awards 2017, to receiving over 70 million streams from his EP – Last Daze of Summer – 2017 has sure been a phenomenal year for Maleek Berry. The annual beach soccer tournament starts on the 8th and ends 10th of December 2017. 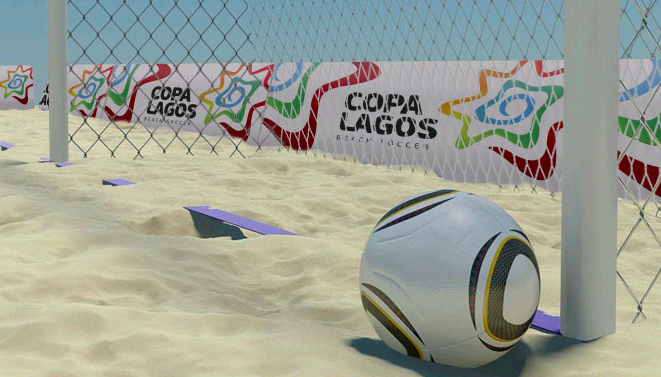 The national Beach Soccer teams of Nigeria, Morocco, Lebanon, Spain, and clubs Beach Soccer teams – Arsenal, Pepsi Football Academy, Kebbi BSC, and Gidi Sharks are all in the sports category. This year’s edition will feature a combination of sports, music, fashion, celebrity entertainment and promises to be fun-filled. The venue for the event is at the Eko Atlantic City, Vi. Olamide is back with the fourth edition of his concert tagged ‘Olamide Live in Lagos’, slated to hold at the Teslim Balogun Stadium, Surulere, Lagos. The crowd pulling concert, which is being organized by YBNL, Red & Axla, Heat, Pentagon, and powered by the Lagos State Government, is set to storm Lagos on the 17th of December, 2017, at 12 noon. The choice of the stadium that has the capacity of over 25,000 people as the venue for the concert, is undeniably another first as far as concerts go in Lagos, and it’s evidence to the success of the three previous editions, Olamide Live in Concert I: The Beast Unleased ranked the biggest concert of 2014, Olamide live in concert II: Beast Move a sold-out show at Eko Convention Centre and Olamide live in Concert III Beast Mode, which was arguably the most successful concert of 2016. This year’s concert, which is the fourth in the series, will definitely bring Lagos to a halt, particularly with the release of his new album titled ‘Lagos Na Wa’. With his wit and humour fused in rap, Falz is one heck of an entertainer and we can’t wait to experience some of that magic at Eko Convention Center on the 20th of December. Falz will be headlining his first show “The Falz Experience” which will feature his 3 personalities – Falz the Bahdguy, Folarin the Lawyer, and Taju the Comedian, the show begins by 8 pm. For years, Rhythm Unplugged has been one of the most talked about events that take place in December. While other events might be hustling for attention, the show remains very much anticipated. This year’s event happening at the Eko Convention Center on the 22nd, will feature notable acts like Wizkid, Davido, Tiwa Savage, Wande Coal, Olamide, Runtown etc. Special guest for the night is Big Shaq – ‘Man’s not hot’ crooner, will be on stage live. Wizkid has been on a roll, what with the numerous awards he has garnered this year, plus, adding to the exquisite collection, making a history as the ‘Best International Act’. 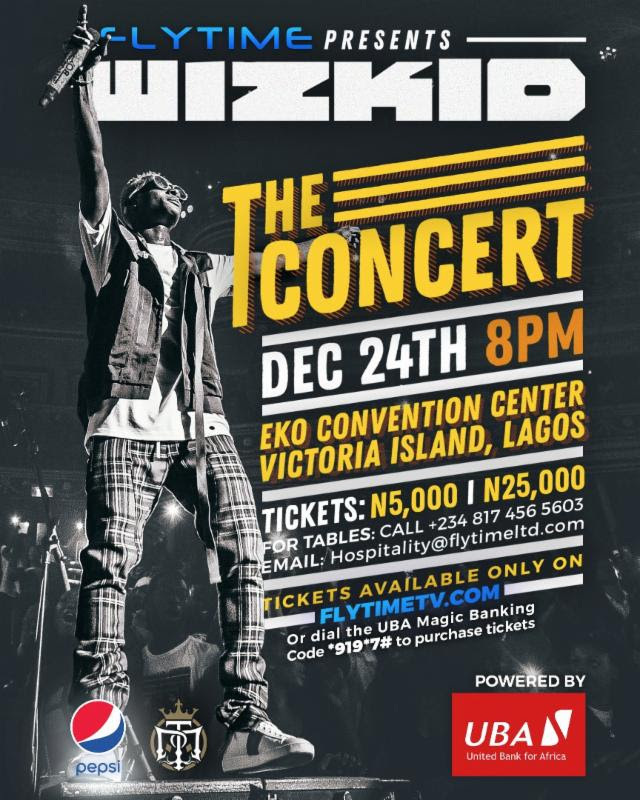 On the 24th December at Eko Convention Center, we believe Wizkid would definitely put out an iconic performance as his Instagram bio already states “Creating something iconic”. Before this concert, however, he’ll be headlining the “On the Beach Fest” which is slated for Dec 10 and would see the likes of performing acts such as Tiwa Savage, Mr Eazi, Wande Coal, Dj Big N, Jimmy Jatt, Dj Xclusive and so on. The “Star Boy” will also be shutting down the capital territory Abuja on the 16th of December at the Transcorp Hilton, Wizkid’s lovers, be sure to save the dates as it’s what we’ve been eagerly waiting for. Fans would definitely be torn on which event to grace, as another top-notch concert to anticipate on the 24th of December, 2017 is that of multi-talented Bez. 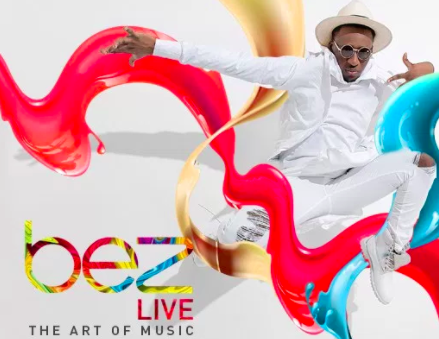 The theme “The Art of Music”, Bez Live is set to hold at the Muri Okunola Park, Victoria Island. Tickets are 5,000 and 20,000 for regular and VIP respectively. 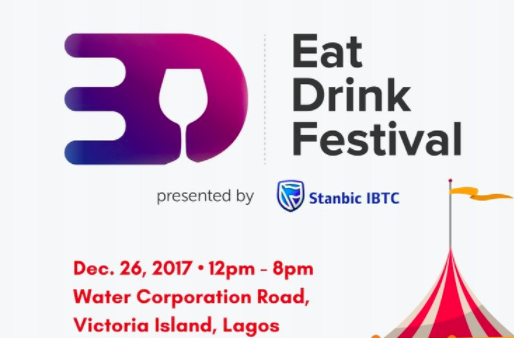 Eat Drink Festival is a festival for foodies fused with music with lots of entertainment. This year’s 4th edition will hold at the Dorchester, Water Corporation Road, Victoria Island, Lagos. Attendance is completely free. This year was a big hit for many celebrities, and among the list includes MTV EMA African Act, David Adeleke popularly known as ‘Davido”. To round up his hugely successful “30 Billion World” tour, Davido is set to headline his concert in Nigeria in five years at Eko Hotel, Lagos on the 27th of December 2017. IF you’ve been thrilled with the FIA he brought this year, don’t FALL for any other event aside from this. You are still not logged in. Sign in / Signup now!